SmartUp Accelerator is a collaboration project between seven countries around the Baltic Sea with the focus on building consumer cleantech ecosystems, activating its innovation actors and improving their skills to identify brilliant ideas and foster teams committed to creating new businesses. There is a growing interest in consumer clean technology, which is about reducing the environmental burden of consumption and is related to resource scarcity, rising energy and fuel costs, digitalisation and automatisation. Smartup Accelerator brings together innovation actors in the consumer cleantech field around the Baltic Sea to make the region a forerunner in sustainable innovation and entrepreneurship. During the project there will be several national and international events and trainings held, competitions and bootcamps launched and testbeds provided around the themes of consumer cleantech and smart innovations in the Baltic Sea Region. 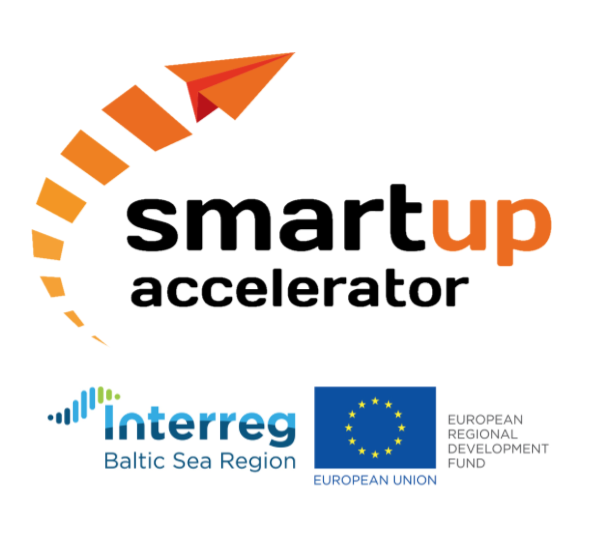 SmartUp Accelerator is funded by Interreg Baltic Sea Region as part of European Regional Development Fund. The project is taking place during 2017-2020 in seven countries and ten organisations around the Baltic Sea (Germany, Russia, Latvia, Sweden, Finland, Estonia and Poland), led by Innovatum AB in Sweden and Demos Helsinki in Finland. You can learn more about the project from the website: www.smartupaccelerator.eu and Twitter (@smartupacc).